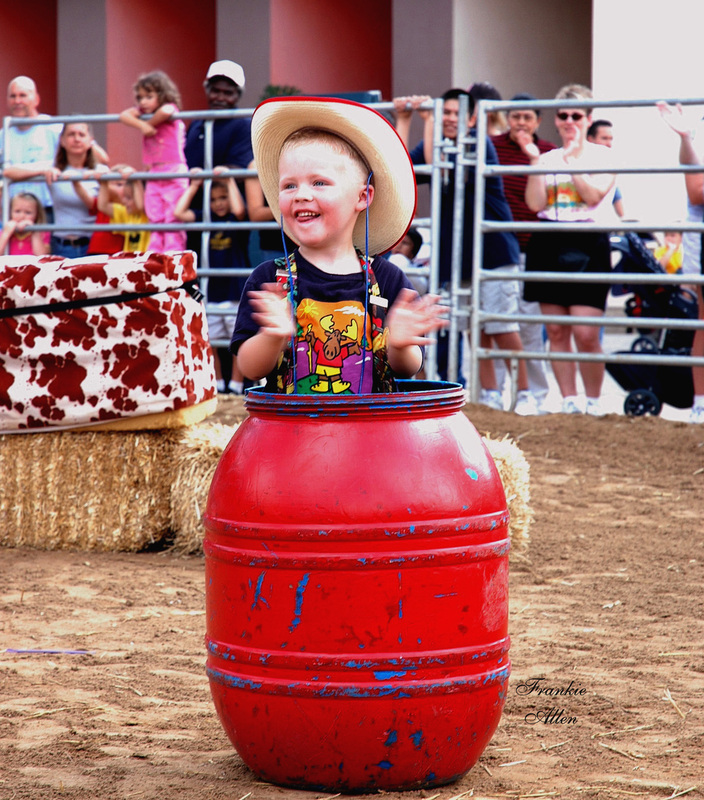 This is a great event for a family outing at the fair as well as a promotional tool for sponsors. 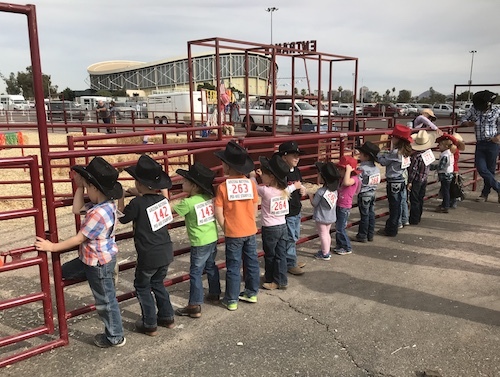 The Pee-Wee Stampede is a “hands-on” method of instilling cowboy ways to little city slickers ages 3 to 6 years old. It is a “mock rodeo” complete with live music, stick horses, cowboy hats, chaps, stick bulls, rodeo numbers, trophies and ribbons. Staying with Cowboys & Kids mission of instilling character traits even with children 3 to 6 years old we have an emphasis on good character. 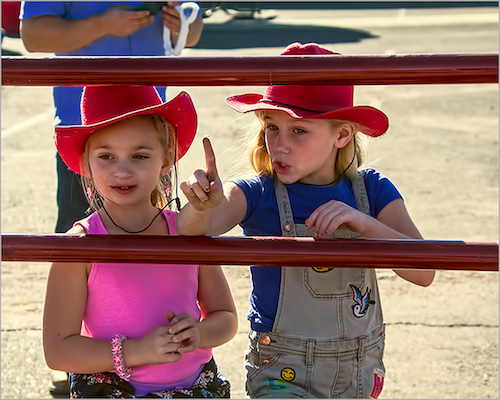 Everyone is a champion at the Pee-Wee Stampede, each child receives a prize, however, we like to teach the children the importance of learning good sportsmanship, as well as characteristics such as sharing and waiting on their turn, following directions, paying attention and good listening skills.